At Aerial Install, we are able to provide you with a range of affordable aerials services throughout Eccles and Monton (M30) to turn your home into the ultimate entertainment centre. Our expert TV aerial fitters can locate the problem with your aerials and get you back up and running in no time! We have been working with aerials across Eccles and Monton (M30) for many years, and as a result our TV aerial fitters are now well established and trusted in the area. We can help with both TV and radio aerials, so call now for assistance! Our team are available to assist with problems with aerials throughout Eccles and Monton (M30), as well as the rest of Manchester City. No matter how big or small the problem, it's not a problem for us! If you'd like to find out more about our services, or to book our TV aerial fitters in, call our reliable team today on 0161 433 8292. To get a quote or for free unbiased opinions on the best solution for you, call us. 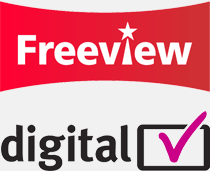 As well as TV aerials, digital and Freeview TV and Sky TV installation, our expert TV aerial fitters offer a range of other services for your convenience.